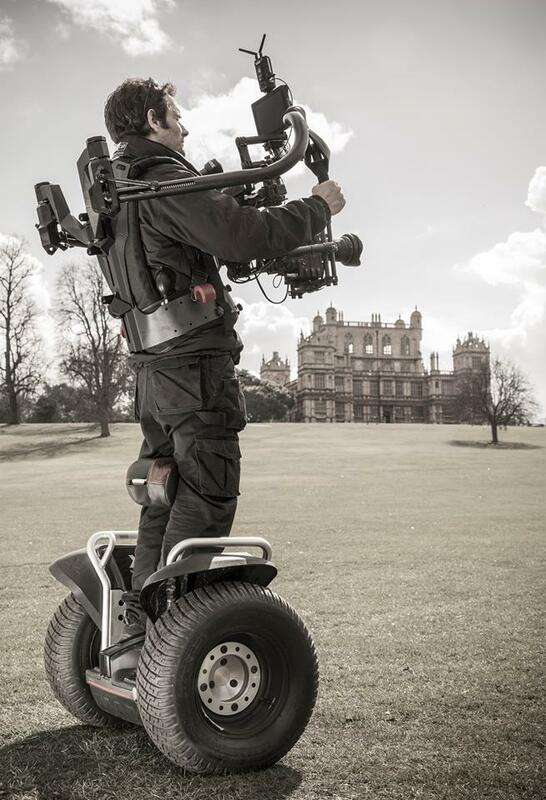 Combining our experienced tracking shot filming crew with the flawless camera stabilisation from our MoVI Pro, with the smooth movement and versatility of the Segway, can offer some amazing tracking shot possibilities. Not only is this a great cost effective alternative to using SteadiCam or Track and Dolly filming, but there are many benefits to this tracking shot alternative option. Benefits of our tracking shot set-up? Quick Set-Up Time – We have lots of experience on set and can be ready to roll in just 15 minutes. Cost Effective – Professional results at a fraction of the cost of SteadiCam and Track and Dolly filming. Extremely Controllable – We can track from 0.1mph to 12.5mph over most terrain with effortless fluidity. Amazing Range – We can continuously track for up to an hour covering a distance of up to 12 miles. Versatile Movement – Our experienced operators can turn on the spot with smooth start and stop. Follow presenters, walkers, runners, vehicles with silky smoothness and high quality footage. We have an Exoskeleton which is great for heavy camera loads, so we can track for longer with reduced fatigue, which enables us to also re-set quickly and get more done in less time. Sound – Near silent operation. The Segway is near silent in operation, and is also great for carrying heavy equipment on location quickly and effortlessly between setups. Consider using the Segway for the soundman (dry hire). Alternatively, we also have the AirBoard, which is a much smaller gyro-stabilised tracking unit which operates in the same way as the Segway, which can be used in more confined areas.